When the League adopted the GHNL badge and when it became a Hospital badge? When was the first League annual dinner? Who organised the first post graduate lectures for nurses? Which ward was designated as an Officers ward in WW1 and who was Sister Susie? What happened to League member Elsie Gladstone in 1919? The first Chairman of the League was a man? Who was the first President of the League? What brave act did League member Lilian Lang perform in 1934? 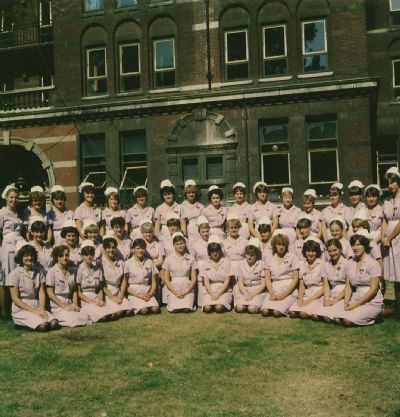 The year a nurse first became Chairman of the League and who it was? Who was the first male member of the League? Who was the last Matron to be Honorary Secretary? In which year was there a vote to change the name of the League? Please contact the League Office on 0207 188 4123 or write to GHNL Office, West Wing, Guy's Hospital, Great Maze Pond, London SE1 9RT or email anthej@aol.com if you would like a copy.